As the day begins to break on this frosty morning of the eve of Thanksgiving Day, I am already anticipating a joyful and restful four days spent with family and friends. My “Thanksgiving” actually began last night with the arrival of one daughter, her husband, and my grandson. It will continue today when another daughter arrives home from college. The only way it could be better would be if all my children and their families could make it home for the holiday. Having a day of thanksgiving is not a uniquely American event. Like the origin of our holiday, many cultures celebrate successful harvests and give thanks in advance for the sustenance they bring. I do believe, however, that a roasted turkey as the temporary centerpiece of a dining room table probably is uniquely American. It seems our culture has developed other traditions that are now commonly associated with this holiday: frenzied Christmas shopping, watching hours of football on television, Thanksgiving day parades, and “Turkey Trot” charity foot races. And, I’m happy to see that the spirit of giving is a growing tradition for many families by serving the less fortunate in our communities. But, there is one thanksgiving tradition that many Americans, and millions of others around the world, have been observing for about two millennia. The difference between it and the others is that it is a tradition observed every day of the week, including Thanksgiving Day. 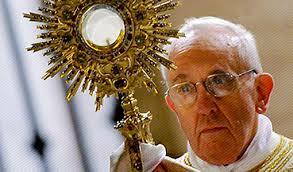 It is the receiving of the Body, Blood, Soul and Divinity of Jesus Christ in the Holy Eucharist. 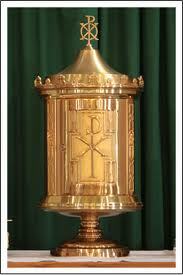 In fact, the very name “Eucharist” comes from the Greek word for “Thanksgiving”. The perfect way to begin your Thanksgiving Day celebration is by first attending Mass and celebrating the feast that Jesus Christ Himself prepares for us. In it you will enjoy food, wine, celebration in the form of singing, offering thanks through prayers, and communion not only with your immediate family but with your extended family in Christ, the Church. So, tomorrow, before you give thanks for your bountiful Thanksgiving Day dinner and before you ask for blessings on those who prepared it; before praying that your football team beats the pants off the other team; and before going head-to-head with over-aggressive shoppers, won’t you take an hour and give thanks to Him by making your spiritual sustenance the Bread of Life, the Holy Eucharist? Won’t you join me? 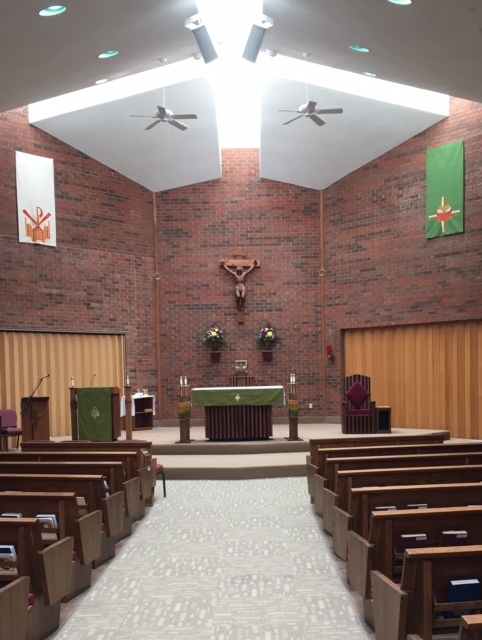 I am looking forward to being in communion with each of you tomorrow morning. I know it will be the perfect start to a perfect day of gratitude and praise.